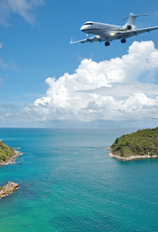 Heading out on a ski vacation, to a cold city, or just want to enjoy a winter break staycation in your hometown? 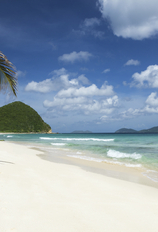 Don’t let freezing temperature, snow, or sleet keep you confined indoors. Pull on these ultra-warm boots and get out there—these shoes will keep your feet warm and comfortable, no matter how far you’re walking or how low the temperatures drop. The Teva Figueroas feel like slippers because of their fluffy faux shearling lining. Meanwhile, the leather and suede exterior plus the special waterproof membrane keeps any moisture out. Love Teva's famous sandals? Then these boots will be your go-to for the winter, as they have the same super comfortable Mush Infused insole design (and White Spider Rubber soles to keep you from sliding in icy conditions). The UGG Australia Men's Butte Boots have a solid five-star rating on Amazon, thanks to their stylish (yet practical) design. 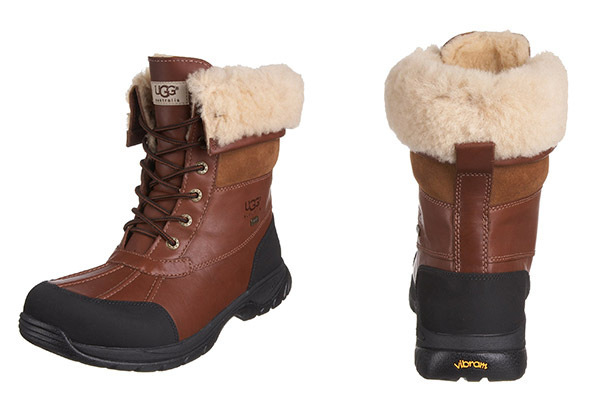 These waterproof leather-lined boots with warm wool protect your feet from cold (they're rated for use in up to -4 degrees Fahrenheit weather) and wetness. The Vibram outsole has a special pattern on the bottom to help with traction on icy surfaces. 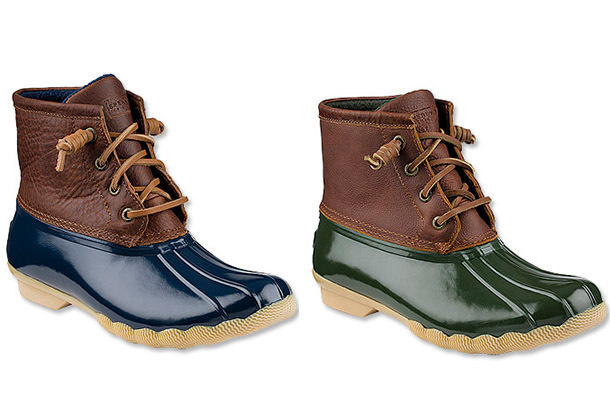 Perfect for freezing, wet days, the Sperry Saltwater Duck Boots are 100 percent waterproof, so your feet will stay dry no matter what. 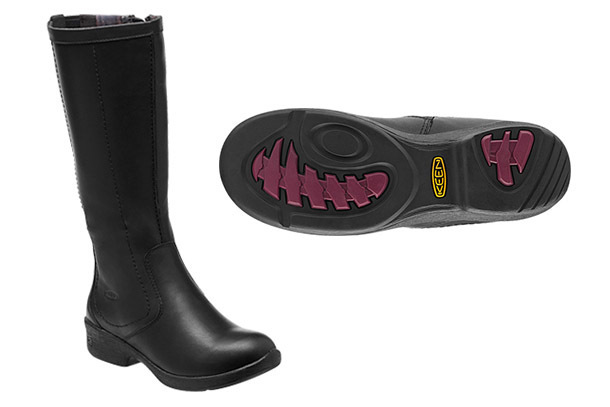 The rubber sole will give you firm footing on even the most slippery surface. Although they have a tough exterior, the insides are all soft comfort, thanks to the microfleece lining. Don't want to pack a big, heavy boot? Take footwear that's the same size as a shoe but performs like a winter boot: the Keen Brixen is an insulated, waterproof sneaker. It slips on and off (perfect for wearing on the plane) and has a wool felt lining that will keep you warm (plus antimicrobial insulation to keep out odors). 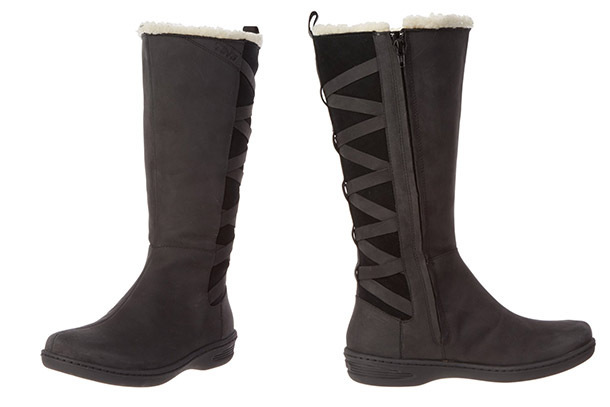 The well-made, durable Columbia Ice Maiden II boot is surprisingly low-priced, considering its high quality. (At the time of publication, select sizes and colors were available on Amazon for just under $59.) Another pleasant shock? 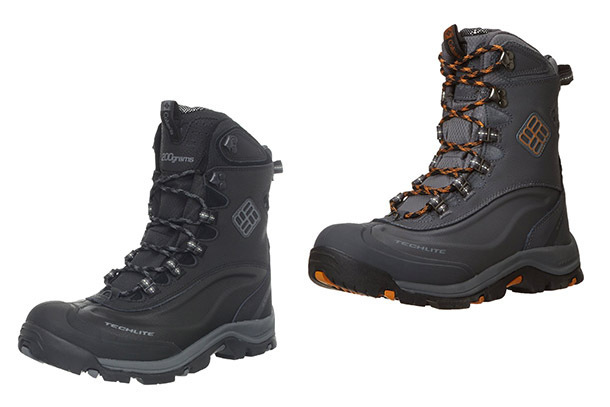 How lightweight these warm and waterproof boots are—the size 7 weighs just 16.1 ounces. 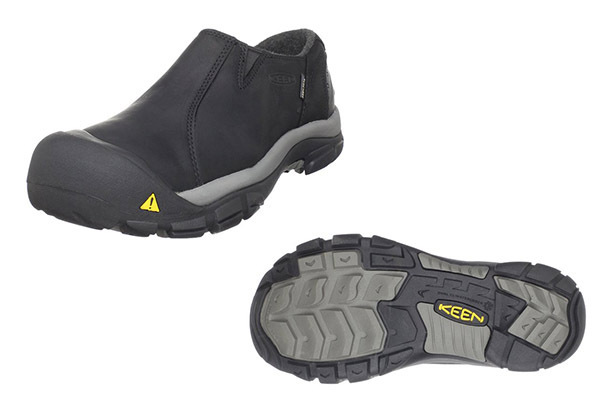 Keen takes its stellar hiking-shoe technology and wraps it up in a stylish boot that can be worn indoors and out. 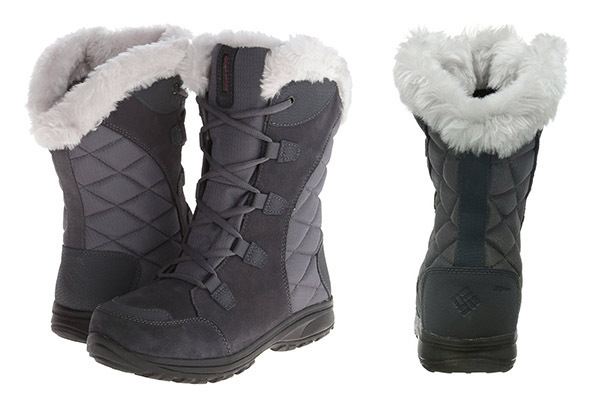 The Tyretread Boot has a recycled foam foot bed to cushion your feet as you walk miles. Don't worry if you encounter puddles on your journey—the Tyretread is fully seam-sealed and waterproof. For ultra-cold weather, you need the Columbia Bugaboot Plus III, which has a special Omni-Heat thermal reflective lining—guaranteed to keep you comfortable even in temperatures as low as -65 degrees Fahrenheit . They're still comfortable to walk in, with a cushioning midsole and advanced traction outsole. 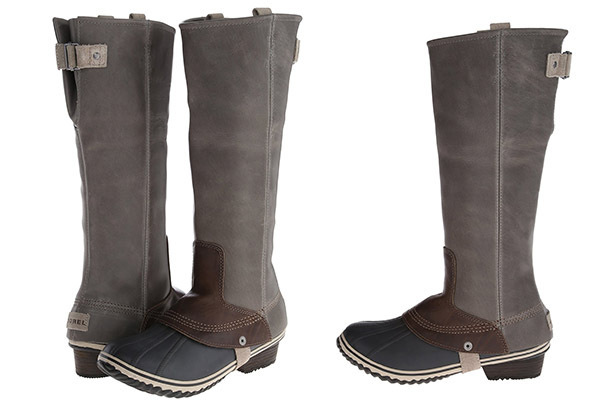 For maximum leg coverage, you can't go wrong with the Sorel Slimpacks, which will keep you warm and dry from your feet to your knees. They're lined with microfleece and 100g insulation throughout, so at least part of your body will be toasty this winter. Don't want to buy new boots for the winter? Instantly warm up any pair of shoes with heated insoles. 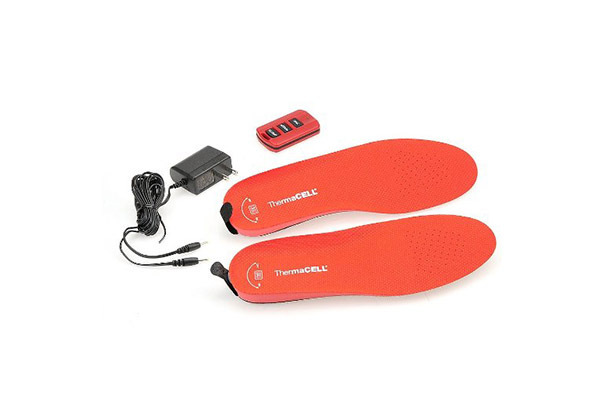 This pair from ThermaCell uses wireless thermal technology to heat up the removable insoles, which means you won't have to deal with any uncomfortable wires or batteries in your boots. You can charge them up to 500 times, and there are three different temperature settings that can be adjusted by remote control, depending on the weather. Caroline Morse believes that comfortable and stylish do not have to be mutually exclusive. Follow her fashionable journeys on Instagram @travelwithcaroline and on Twitter @CarolineMorse1 for travel tips and inspiration.